Hilda lives in the parish of Barrington and during the one year training course chose pastoral care as her specialism. 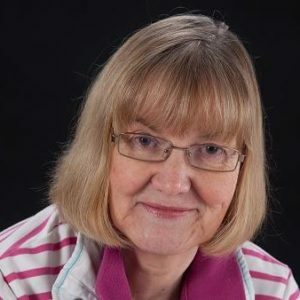 Whilst living in Foxton, approximately thirty years ago, she undertook a Certificate in Pastoral Care run by the Focus Christian Institute at St. James Church in Wolfson Way in Cambridge. The ALM course built on that foundation of skills. Her specialism originally was Baptism Counselling when her own children were young. In the intervening years her interest in working with children has continued, especially in the teaching of children with dyslexia. She is now actively involved with helping to run Messy Church. Hilda will visit anyone in the Benefice who requests a visit and she visits parishioners when they are sick or in hospital. Part of her training was also in bereavement counselling. She is also authorised to administer home communion, with the Rector’s initial supervision, if requested. Copyright © 2019 Benefice of Orwell. All Rights Reserved.